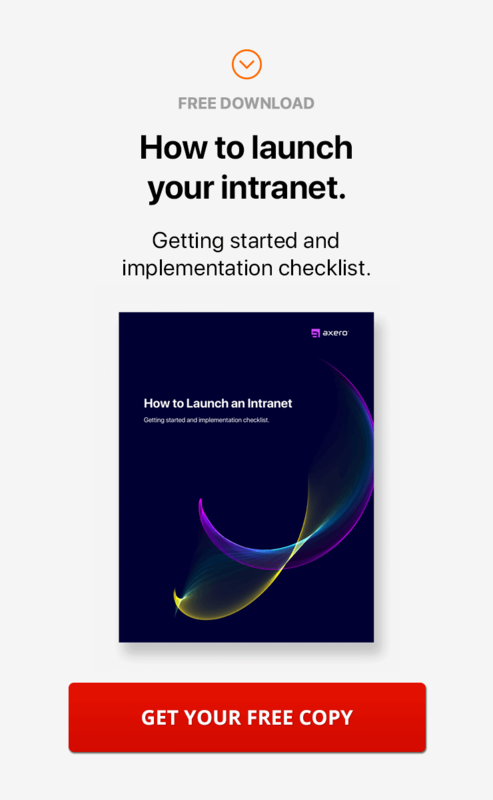 Publish, edit, organize, and manage your content in a robust social intranet. Build a living library of helpful documents, instructional materials, and self-help information. Communifire makes it easy for you to organize and share your company’s knowledge and assets across departments and with customers and partners. There are hundreds of content management system software programs that business owners could choose for their intranet systems, but Communifire combines tools for professional use with social tools that are not often thought useful or appropriate for business use – because we believe that combining popular aspects of social networking sites with business tools can increase productivity, communication and employee collaboration. If that's your goal, then Communifire is the CMS intranet software you're looking for. Unlike common platforms like Wordpress, Communifire allows business owners to encourage collaboration and communication with forums that allow employees to interact from multiple locations, or to publish blog posts and web sites in order to increase the potential audience for their communications. Executives can create and share calendars for a variety of projects with the aim of tracking employee appointments or helping employees to keep their projects on schedule. Communifire makes it easy to create employee engagement campaigns and get employees communicating – message boards and private messages – both functions that are available in Axero Solutions' CMS intranet software, just might be more alluring than regular old email clients. We'll will help you set it up and even host and run Communifire on our servers for you if you choose - this takes the responsibility of hardware management, software updates and security off of your list of things to track and gives you more time and energy to devote to your business. This truly social CMS intranet is fully customizable. Upload a logo, tweak a few settings, and you're ready to go. If you're looking for even more customization, you can even create your own CSS styles and HTML layouts. File sharing - With Communifire, you don't need shared network drives or FTP servers. It's easy to upload and manage a variety of document types: word, Excel, Powerpoint, PDFs and other images. Not only that, but team members can comment on, like or even rate shared documents. Intranet search - There are extensive filters that can help you to target your searches or even create special search filters. Communifire is a leading CMS intranet software platform.